Hair serum is a product used to treat and tame curly or frizzy hair before styling. Hair serum works by smoothing the hair follicles, and it protects the hair from the heat generated by hair dryers and curling or flat irons. Most commercial hair serums contain amino acids and ceramides in combination with a silicone-derived emollient. Silicone products coat the hair in a manner similar to plastic wrap, according to the Inspired Living website, and continual use may result in buildup of the product that can weaken the hair and cause breakage. Homemade organic hair serums are inexpensive to make and may be a preferable alternative to more costly commercial products. Choose a dark, 4 oz. glass bottle with a tight screw cap or spray top to prevent evaporation and protect the curative properties of the serum. Select an oil for the moisturizing base. 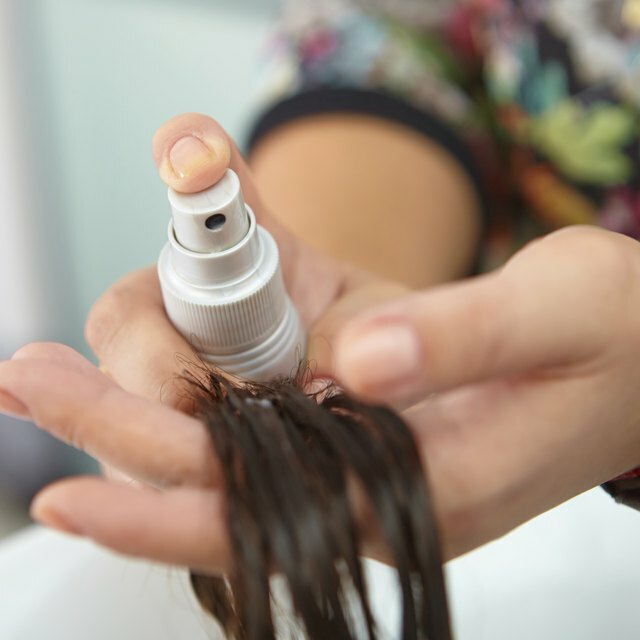 Jojoba, coconut or grapeseed oils are light, mostly unscented and less inclined to weigh hair down. Castor oil is an effective lubricant with healing properties. Choose a natural, organic essential oil according to the healing properties desired. Use myrrh or peppermint for dry hair, lavender or rose oil for fine hair to normal hair, or add lemon or chamomile for golden highlights. Avoid using synthetic oils. Pour 4 oz. of the base oil of choice into the glass container. Add 5 to 10 drops of the essential oil. Poke a hole in a vitamin E caplet and add to the mixture if desired. Cap securely and shake gently. Store the organic hair serum in a cool, dark place to extend shelf life. To use, place 2 or 3 drops of the serum in the palms of the hand and apply to clean, wet hair. Comb to distribute the serum, and style accordingly.